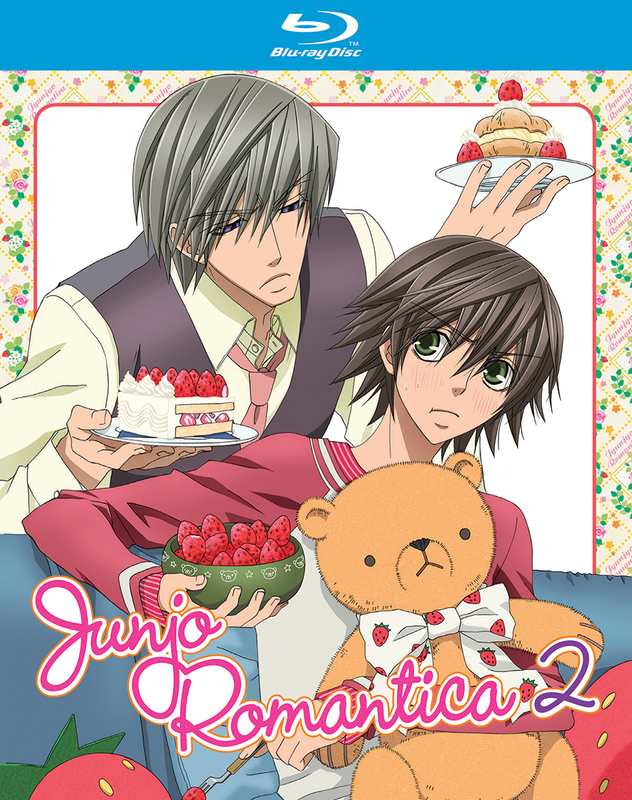 Junjo Romantica Season 2 Blu-ray contains episodes 1-12 of the second season. College student Misaki and his unlikely lover, the eccentric novelist Usami, are slowly growing closer. But their relationship could be in trouble when Usami's older brother appears, and the two begin to vie for Misaki's attention! Nowaki loves Hiroki with all his heart, but sometimes, he's afraid Hiroki doesn't feel the same way. When Nowaki asks Hiroki for permission to address him by his real name, as others do, Hiroki flatly refuses. To Nowaki, this is just another reminder of the invisible gap that separates them... a gap that he must close, if they're ever going to truly be a couple. Special Features: Season 2 U.S. Trailer, Clean Opening & Closing, Promos. Same as the first set nothing special besides having the anime on bluray which I am happy to have. Loved it! Please, be advised to ONLY buy from Right Stuff! I made the BIG mistake of buying from a seller who gave me a cheap Malaysian copy that you could not understand the sub-titles. About the story, it is excellent combination of 3 stories interwoven. Love them all as the characters (BL) come to terms with their relationships. Lots of fun without being "nasty". VERY true to the manga. I've only streamed it in SD before buying it but I think the quality looks great on blu ray. The stories are sweet and it's easy to get attached to the characters. I've seen all 3 season and I don't know which is my favorite. If I'm honest though one of the appeals is there are just very few BL anime so anyone who likes BL has to have seen this anime at some point. At any rate it will draw you in and you will quickly start rooting for your favorite couple. Sadly though at this moment I cannot find season 3 Region A phsyical if like me you want to own the whole collection. From what I've seen Funimation owns the rights to S3 but are not selling it physically to my disappointment. I can't wait till season 3 and hopefully the spinoff get a blu ray release.